The Coppervape Skyline Style RTA, unites the preceded models of the same premium rebuildable atomizer. 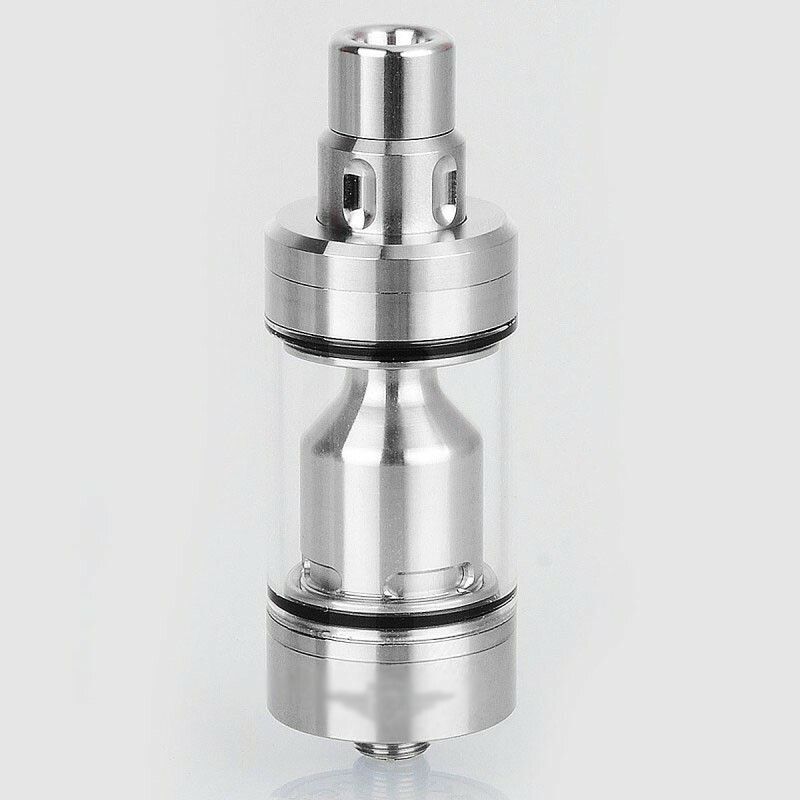 When it was necessary to make M2L or D2L decisions in older Versions of this Device, the new Skyline RTA combines both functions in an excellent way. 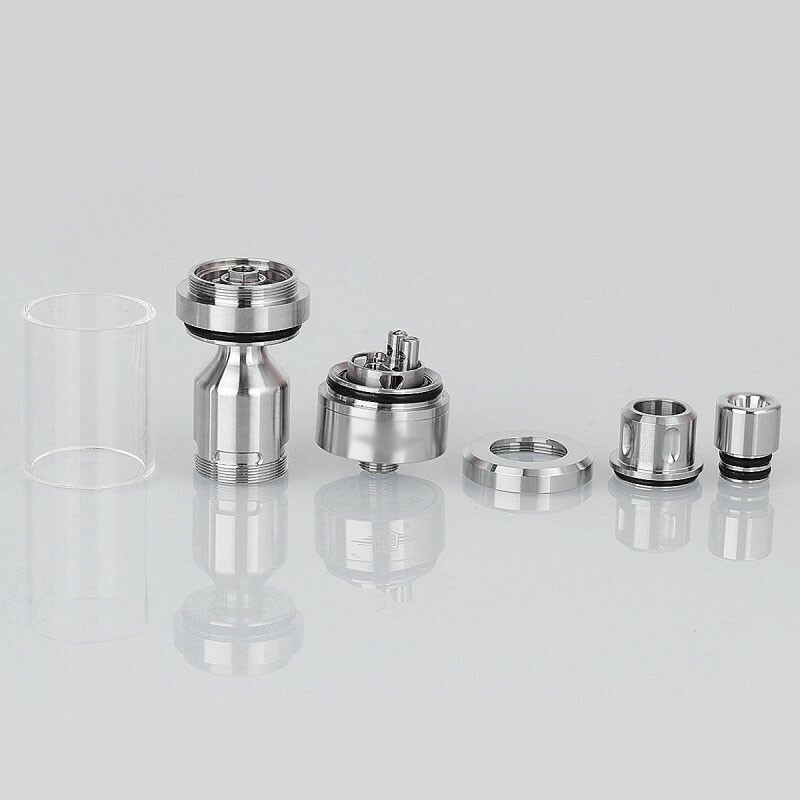 So, the Skyline Style RTA gives a selection of 10 different so-called "AirDisks" in order to satisfy the air supply for every taste for M2L as well as directly to the lungs in full. 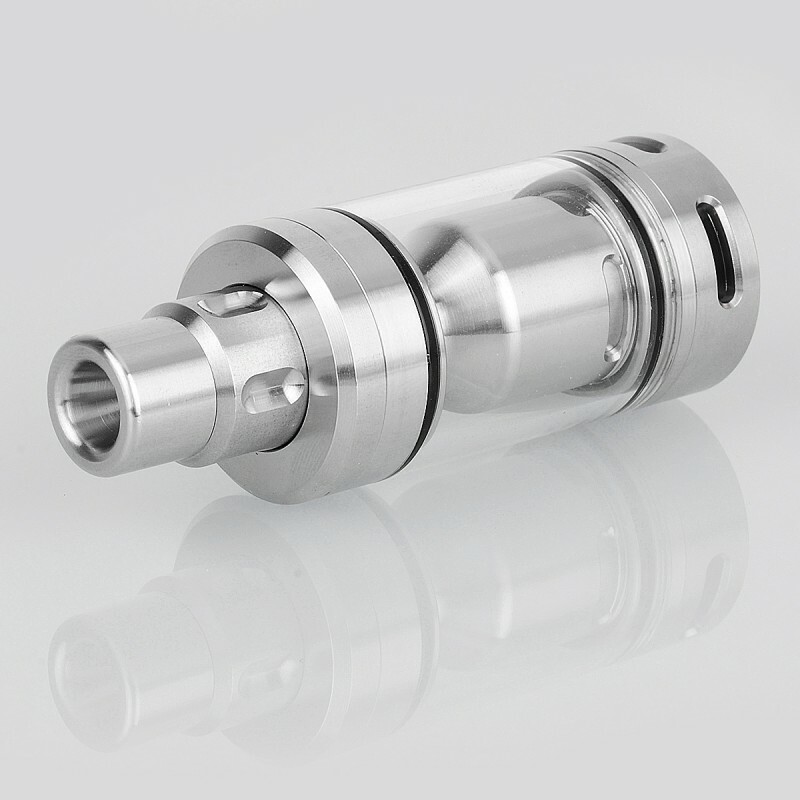 This allows the single-coil-atomizer to produce any desired vape experience depending on the daytime and mood. 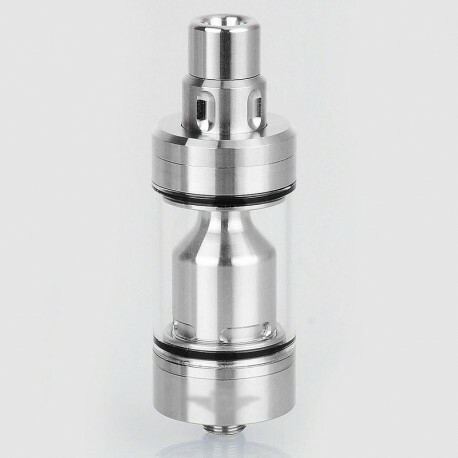 In the Skyline style RTA you can also find the refill opening under the unscrewable top cap. A special feature is immediately apparent. 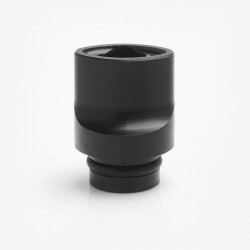 The drip tip has a hexagonal connection at the bottom, which fits into the corresponding counterpart of the chimney. This controls the liquid flow. Please Note: There is only engraved logo on the base, no logo on the top cap. Please check the pictures, the real product is shown in the pictures. no smell, no funky taste, all clean. I've purchased 12 clones RTAs so far. And Skyline is the best among them. First of all, accuracy is very high. Especially threading precision is more than Authentic. Only the depth of the engraving is shallower than the Authentic and it's unclear. Drop kit should be purchased together! 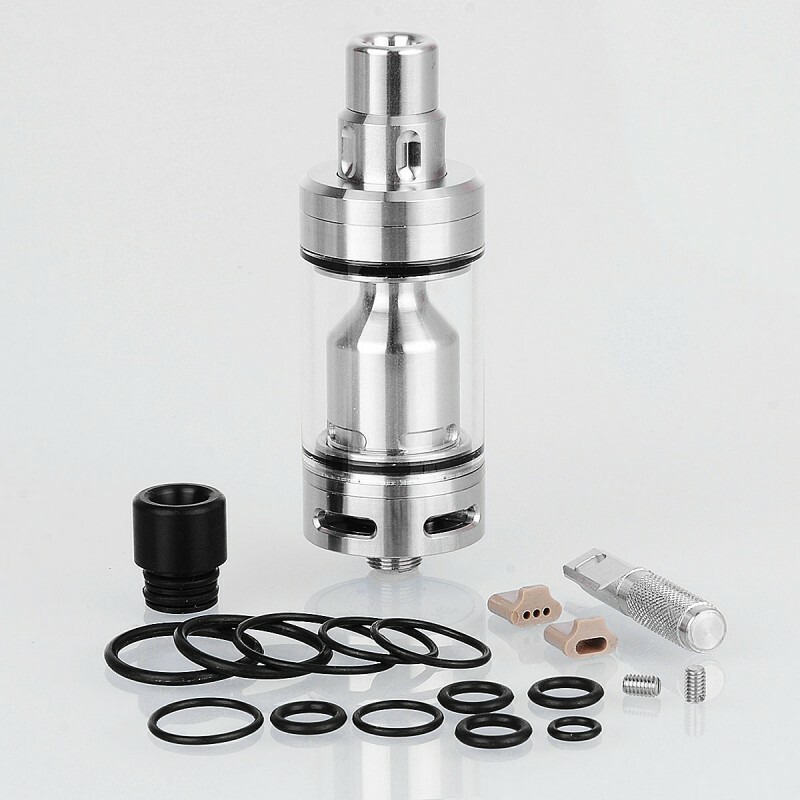 The real value of this RTA is demonstrated with a drop kit. This RTA is absolutely perfect. With the "8pz Airdisk set" you can set the airflow at your pleasure. MTL or D2L. Very good flavor, especially with tobacco-extract e-liquid. The liquid control is very comfortable. Good job Coppervape! very good quality, perfect machinery, works perfectly, my best ato... i can recommend it !!! Well made atomizer. Threads are excellent, no issues. Some O-rings are over sized, but not a big issue, I have just changed them for some smaller ones. Build quality is top. 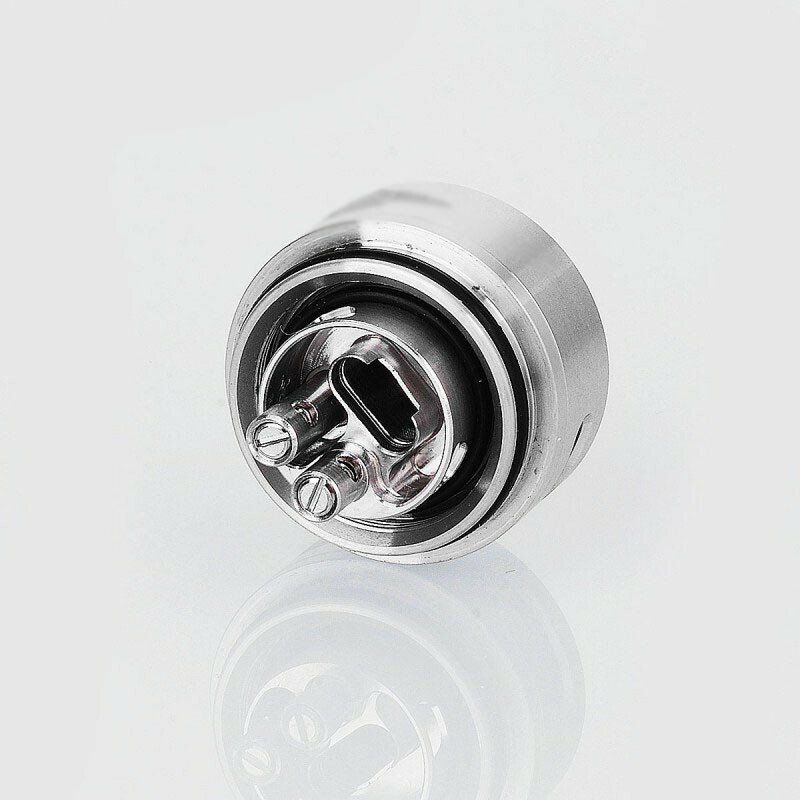 Another con is that AFC is the same height as the base , so in order to adjust air flow, it needs to unscrew a bit the atomizer from the Mod. Out of this two little cons, it is a very well made atomizers offering a very good MTL to DL vape. Arrived clean. Finish is very good. Logo engraving is also well made. So far, the coppervape skyline has provided the best MTL experience I’ve had. I’d recommend the airdisk pack only if you’re looking for looser draws. Be aware that the build deck and chamber are small; perfectly fine for MTL use, but you won’t be fitting an octacore super alien tiger coil in this thing. Build quality is great, with nice threads and no machine oil residue. Definitely lubricants the o-rings before using though, especially the ones around the juice flow control mechanism. Also, be careful with the o-ring under the AFC ring, as it’s very fragile. Bello, pulito, versatile e perfettamente costruito, non sbavature nei filetti. Semplice da rigenerare, adatto a ogni liquido per ogni stile di svapo. Con logo sulla base. Brava 3fvape a ogni acquisto ha confermato la mia fiducia. Migliore atomizzatore provato fino ad ora. excellent in every way!! !a perfect 1on1 clone came without any smells or fabrication olis!!! !great flavor easy to build amazing quality and only 23$!!! !thank you coppervape and 3fvape!!! The best clone ever with logo and s/n number.very good test for MTL . Perhaps I received a faulty one but during the first coil installation, the atomiser started sorting. I tried a couple of different builds and it was still sorting. I disassembled the atomiser by removing insulators etc and gave it a thorough cleaning...then it stopped sorting. I hoped it lasts otherwise it is a great vape. Apart from the sorting, it is a very good clone. Arrived in Denmark after 2 weeks. Brilliant build quality. Found that putting on a slightly larger diameter drip tip made it a hole lot easier to fill, as I can then remove both top ring and jfc in one pjece. Running 5 wrap clapton 0.85 ohm at 26 watt. Fantastic flavour. Super smooth airflow. Lubricate all orings including the one between inner and outer chimney. Remember to buy separate air disks and spare glass. Zero leaving. By far the best rta i have owned, and trust me I have owned many. 30$ for atomer, air disks and spare glass, A clear no brainer. A perfect clone, precise work, I would almost say it is the original. Got delivered today, using a fused clapton 3 wrap at 0.55 ohm, wicked and it is working like a charm. I can't believe this is only $22, because the fit and finish are great, and the performance is frankly hard to beat. The big bonus is that you can taylor your airflow with the two included "AirDisks" or for $5 get a bag of 8, all at different air hole sizes...from a smack on MTL, all the way up to a just slightly restricted DL. I used the included (3) 1mm hole disk, and it produces a draw very similar to the old Kayfun V4...a true MTL with a very ample amount of vapor. The flavor is spot on perfect...I use Ti temp control...and with a 6 wind space coil, it settled into perfection at 420 deg. The build deck is small, but very easy to place your build into...the posts are fairly close together, but my coil described above fit just fine...some experimentation is required for your first build. It breaks down perfectly for cleaning, assembling is a bit of a learning curve, but not hard. Thus far I have seen ZERO leaking. Go to YouTube and see Pbsuardo's review for all the details. The only con is that you don't get an extra glass tank...but they are available here for cheap, which is a small price to pay for something costing you $22 instead of the original that costs $180! 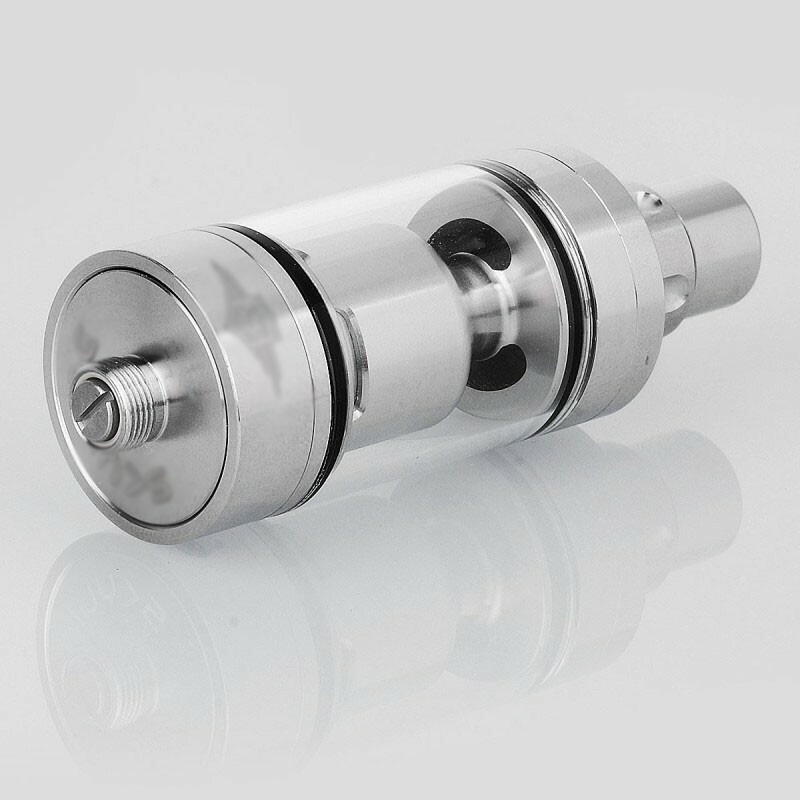 GET THIS RTA, it will serve you well! Onto the Review I own several of these from here + CV directly . It is branded + serial numbered. Never had a leak or a problem with it. Driptips these are great ordered loads for other tanks . But it is done better 4 holes allow juice into the deck , via this chamber its a hex type up top under drip tip twisting raises and lowers the chamber to allow juice to the channels. 0 out of 5 people found this review useful. When 3fv has photos with logos as you see,then its going to be with logos! Very excited about this one, please add more pictures? Will these be with logo as shown on the picture? Is this clone shipped with logos like the original? There is the engraves on skyline rta ? will it be with or without the esg logo?